Have you ever been to a place, only to feel like a character from one of those fairy-tales Grandma narrated when little? Well I did. The place known as Mrs Magpie promises to make you feel like you are living a dream. Remember how we always fantasized about the witch’ house made of candies, cakes and everything nice (remember Hansel and Gretel?). This place is an answer to all your childhood fantasies. 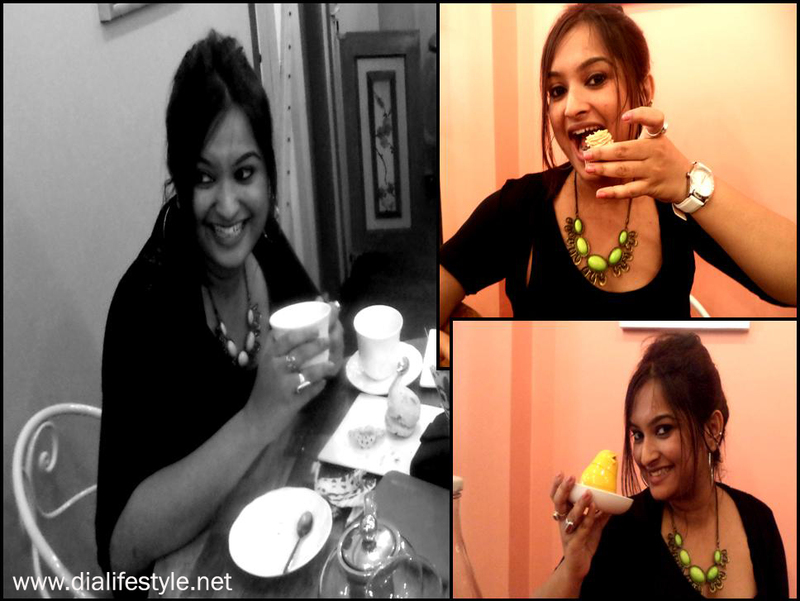 An afternoon tea consisting of 4 extremely sumptuous cupcakes, sandwiches and tea and the pretty pink decor made my day. 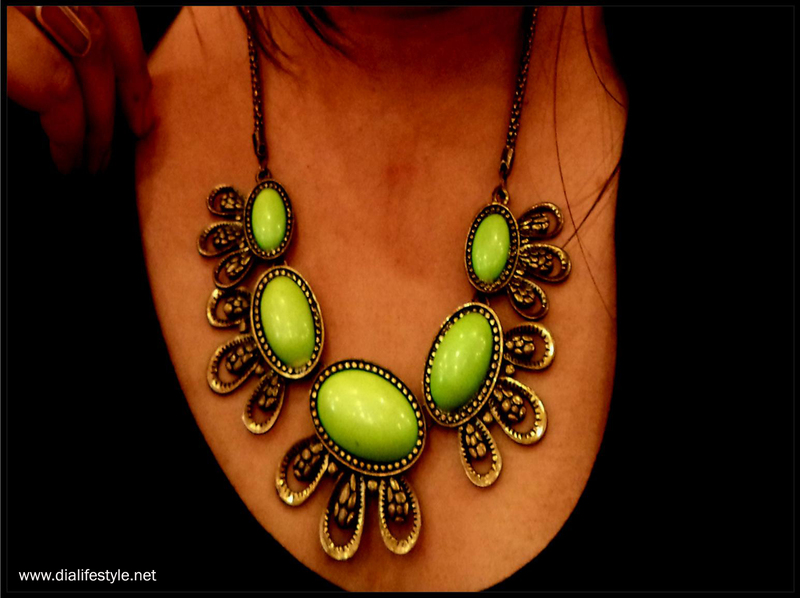 And adding to the candy-pop ambience was my neon green vintage neck piece (a gift from my darling Mum). 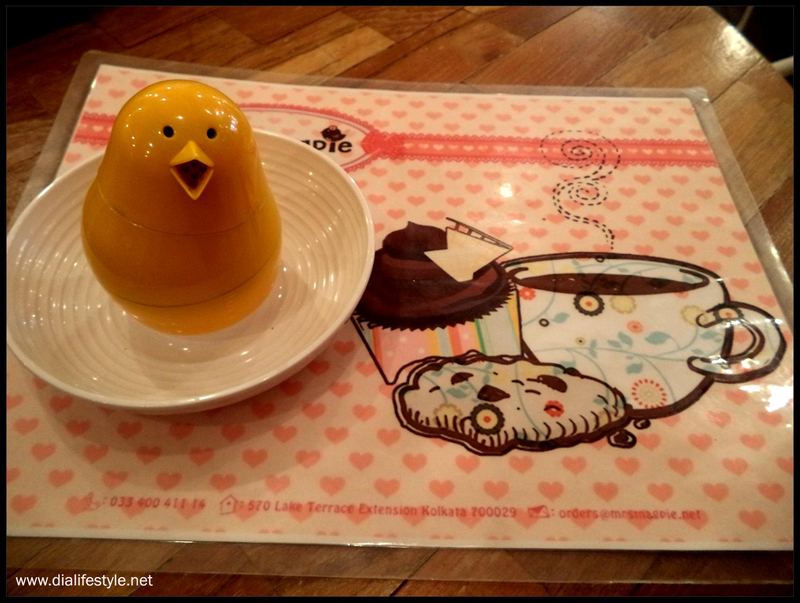 I loved this so much that I could not resist blogging about the place just for the sake of my new statement piece! 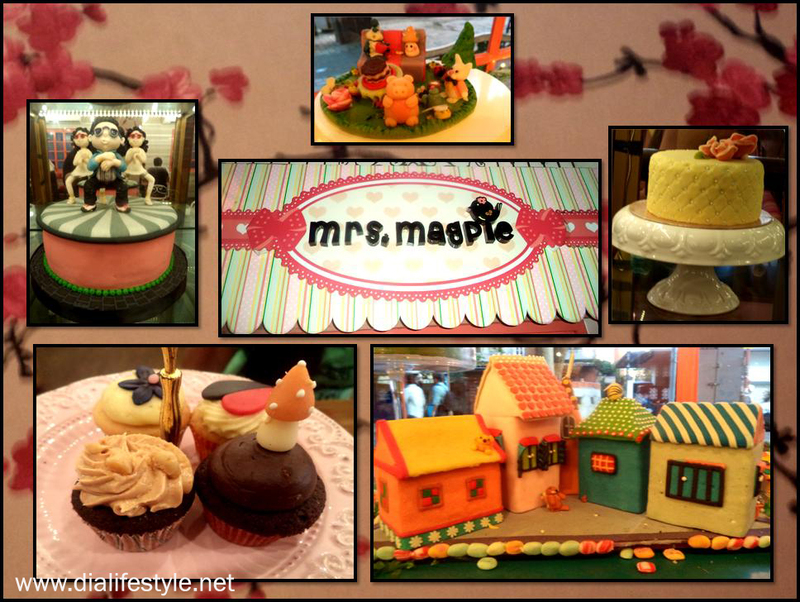 If this post has made you hungry already, you better control your cupcake pangs till you drop by at this dreamland. And as for me, it’s time I signed off and feasted on those lovely cookies I got back home (packaged in a equally pretty polka dotted box). Stay tuned for a review coming up for my oily-skinned readers. Till then keep munching and stay gorgeous!